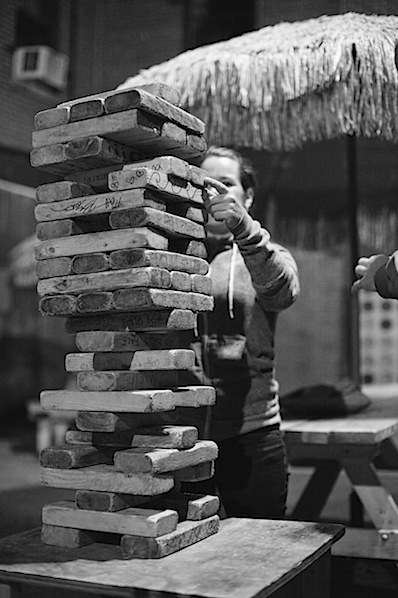 I don't think anyone would refuse a turn in attempting to pull out a block from a Jenga tower. The objective is clear and if you fail there isn't much at stake. Just some wood clanging against the table, gasps of defeat, and some time spent to rebuild. A bar in Portland called Oasis (link to Google Maps) had a life-size version of the game. 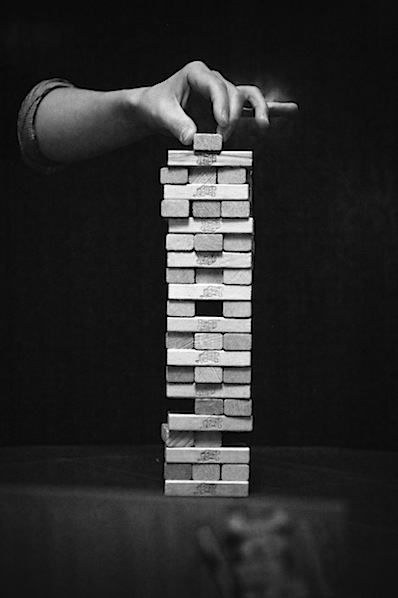 The bigger it got, the higher the stakes, such as the danger of a falling piece landing on your shins. Inside, they also had a life-size Connect Four. Each piece was the size of a frisbee. Creative games like this with $3 PBR's on Wednesday nights made for a fun night. I've been wanting to go back ever since.